If you’re required to use Outlook at work, you know how user unfriendly it can be. 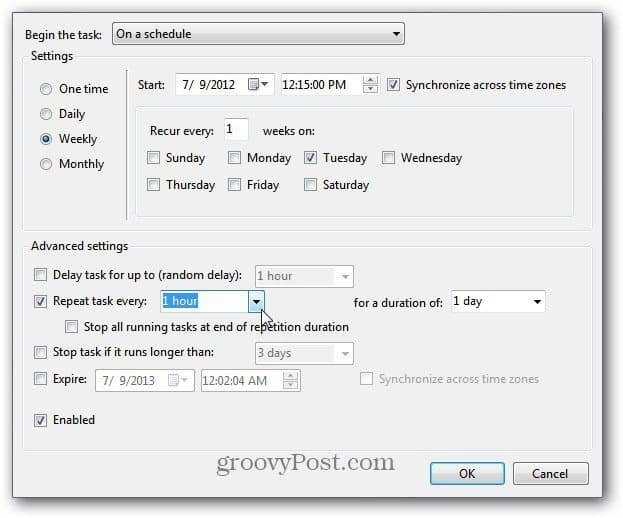 You can use Task Scheduler in Windows to do the same thing. 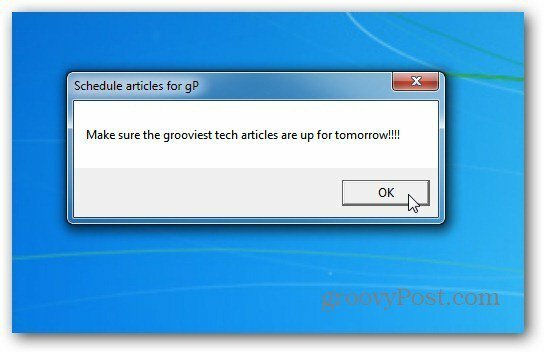 Here’s how to create reminder messages in Windows without Outlook or a third party program. Note: This works in all versions of Windows – XP and higher. 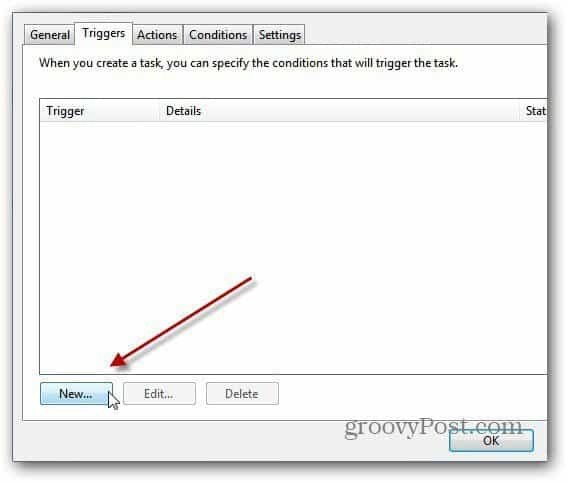 Click Start and type: Task Scheduler. Hit Enter. When Task Scheduler opens, it looks daunting itself, and it is a powerful tool. But creating a reminder is easy. 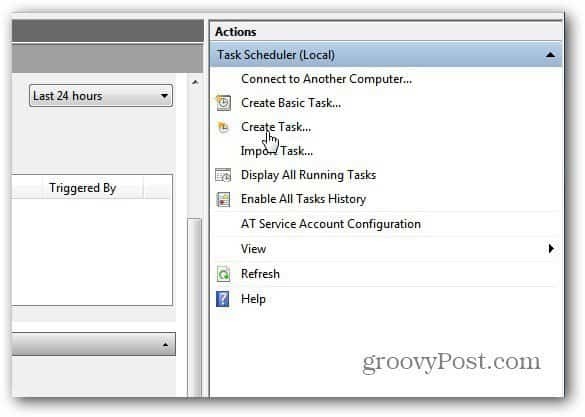 Under the Actions list in the right panel, click Create Task. Now type in an easy to remember name for your task under the General tab. Type whatever you want, just make sure it’s descriptive and lets you know what to do. Click the Triggers tab next to the General tab. Then click the New button at the lower left corner of the window. Under the New Trigger screen, On a Schedule will be selected by default. Now, just plug in the date you want it to start and how often you want the task to recur. In the same Windows, you can choose different Advanced Settings like how often to repeat the task message, when to stop it and more. Finally, click the Actions Tab, then the New button. From the dropdown menu, choose between Display a Message, Send an Email or Launch a program. In this case I just want a message to display during my work day. Type in a Title and any message you want to go along with it. 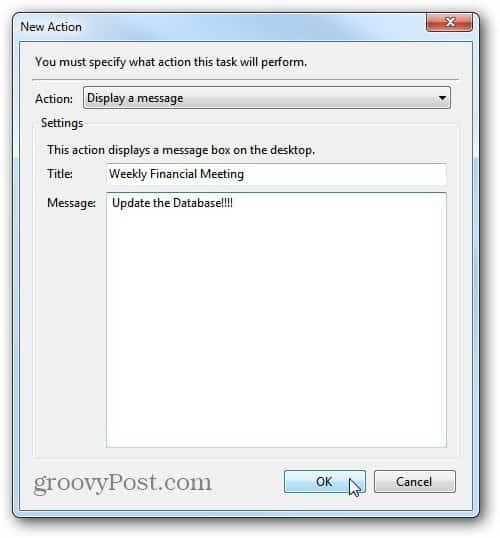 Click OK.
Windows displays your task in a message box at the time you selected. 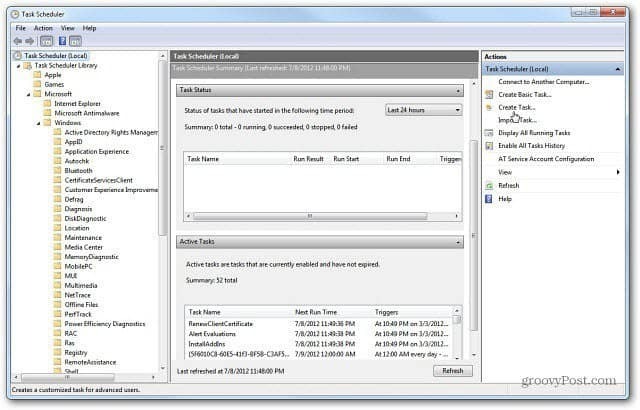 There’s a lot you can do with Task Scheduler, like scheduling a maintenance task like Disk Cleanup to run. Using it for reminders is a great way to not forget what you need to get during the week. Thanks Brian. I’ve always found Task Scheduler a little daunting so I’ll be putting this informative piece into my “How To Folder”. The link to Disk Cleanup is another fine article which helps one to better understand Task Scheduler from Microsoft. Keep up the god work! Doh! I think I meant to say “Keep up the good work” and not “Keep up the god work”. But then again seeing that I hold this site in great reverence I err graciously! Good article. I liked it. But Google Calendar looks easier. Thanx!!! how can i do that in windows 8 plz??? Yep! You sure can. It’s included in Win8 too…same process. At the Metro Start screen start typing Task Scheduler to find it.